Your first 10 hires will make or break your startup. 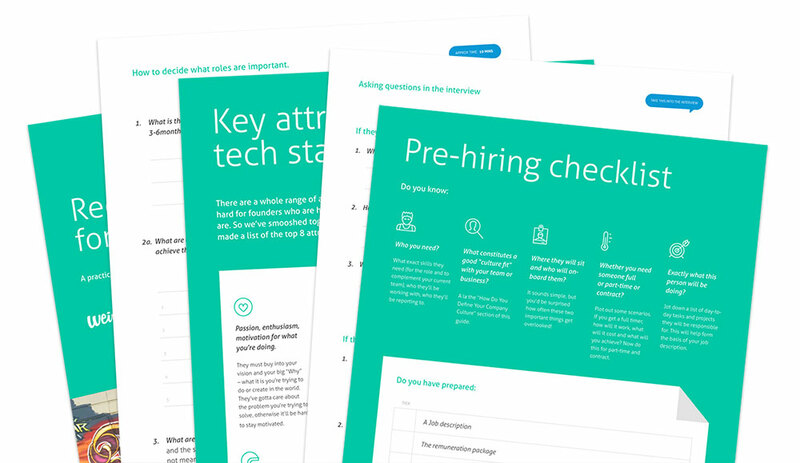 Get it right with this recruitment guide, packed full of handy templates, how-to guides and practical advice for startup founders. After 20+ years in the recruitment industry we know that the thing that makes you weird is often the thing that makes you brilliant. And if you can find just the right kind of brilliant weirdos for a business, magic happens. That’s where Weirdly’s clever software comes in. We’ve systemised our expertise, to make hiring easier, faster and heaps more fun. This guide will also help. We know hiring can be intimidating – there’s heaps to consider and loads at risk. This guide will step you through the process so you find the right people to take your startup stratospheric. Here’s the complete chapter list – just in case you’re one of those “skip straight to the end” people. Recruitment giving you a mad case of stress hives? Download our easy guide at the top of this page or book a Weirdly demo today. 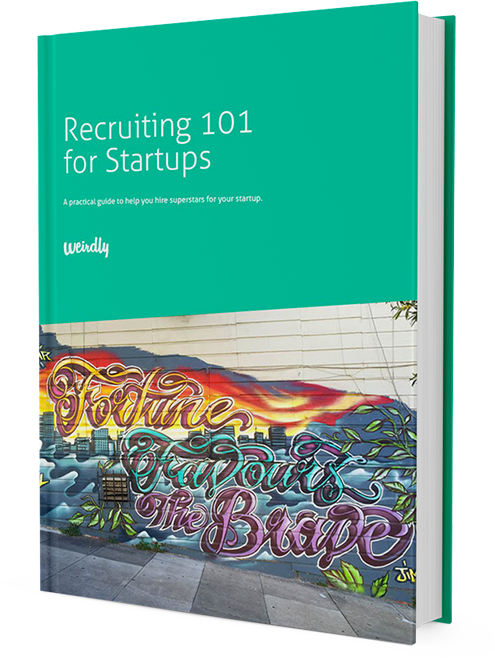 Recruiting 101 for Startups by Weirdly is licensed under a Creative Commons Attribution-NonCommercial-NoDerivatives 4.0 International License. Based on a work at http://weirdlyhub.com/. Permissions beyond the scope of this license may be available at http://weirdlyhub.com/contact/.